보안은 PC를 보호하는 데서 시작합니다. 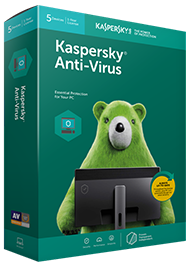 이에 Kaspersky Anti-Virus는 바이러스, 랜섬웨어, 피싱 등에 대한 보호 기능과 감염된 PC를 복구하는 기능도 지원합니다. 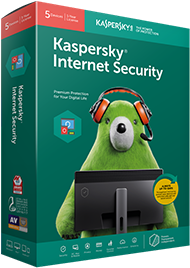 Kaspersky Internet Security는 온라인 쇼핑, 소셜 미디어, 인터넷 서핑 또는 다운로드와 같이 다양한 디지털 사용 환경에서의 활동을 보호합니다. 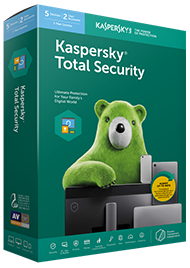 Kaspersky Total Security는 소중한 가족의 안전을 위해 PC, Mac 컴퓨터 및 모바일 기기에서 가족의 디지털 환경을 보호합니다. Defends against sophisticated Internet-based threats & cybercrime – without any significant impact on performance. 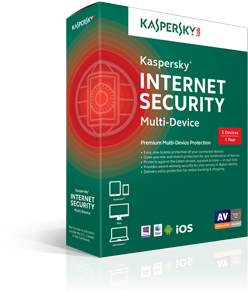 The one-license, multi-device solution – defends PC, Mac & Android devices against all threats the Web can deliver.